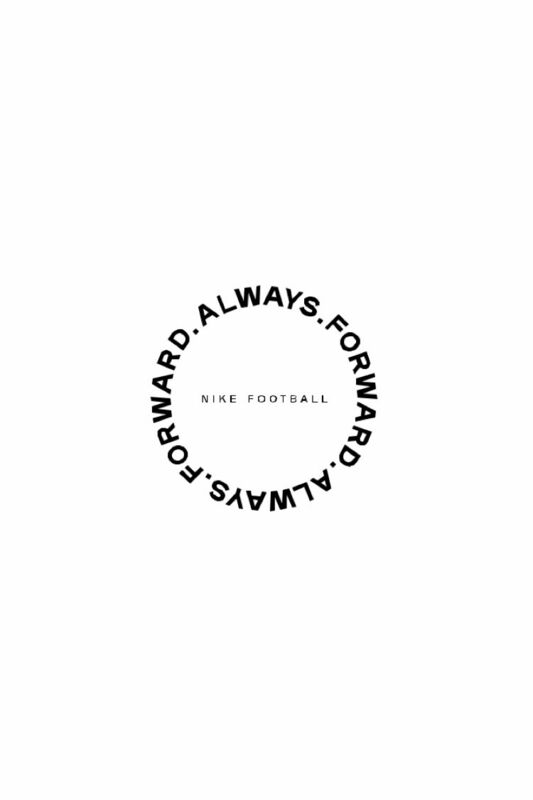 Football lives in the opponent’s half. You can play it fast and free or calm and clinical—but whatever you do, never stop moving the game forward. 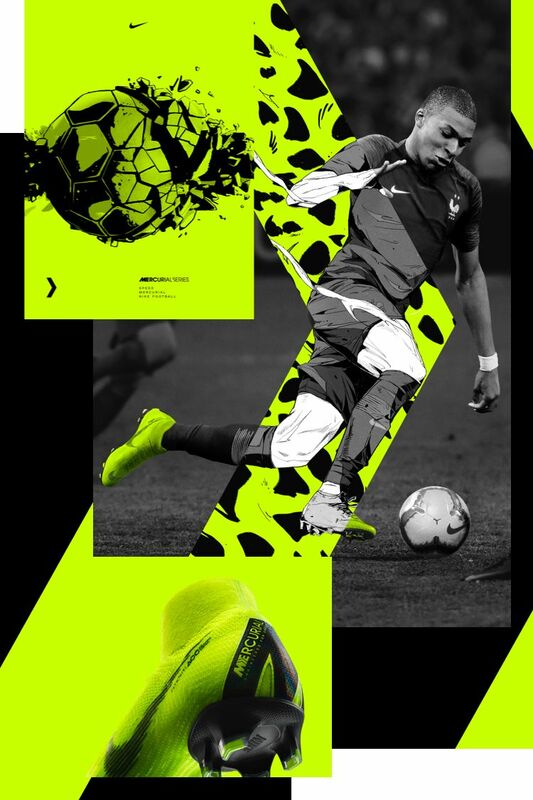 Nike’s brightest colorway on football’s fastest boot. 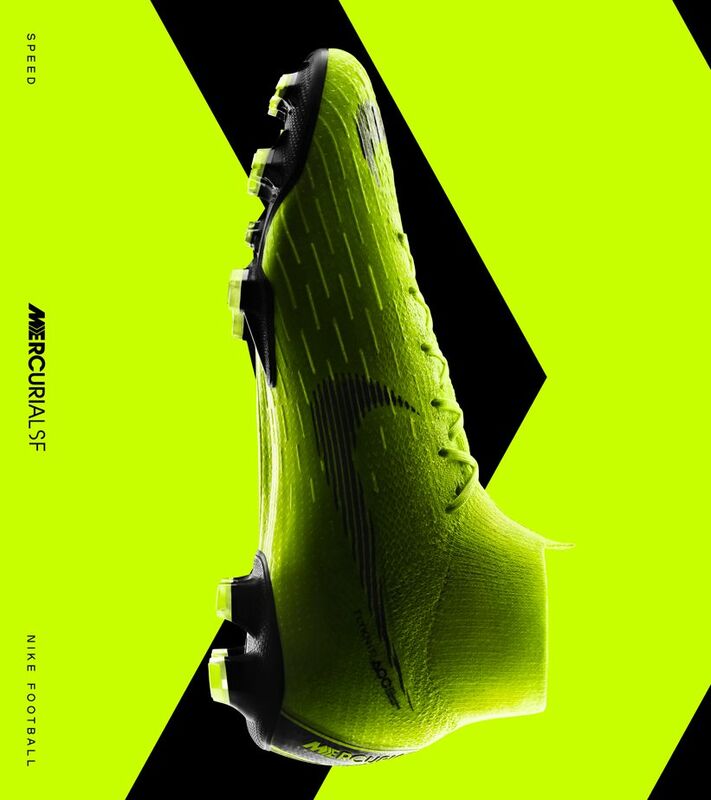 The Volt Mercurial 360 “Fury” was only a matter of time. 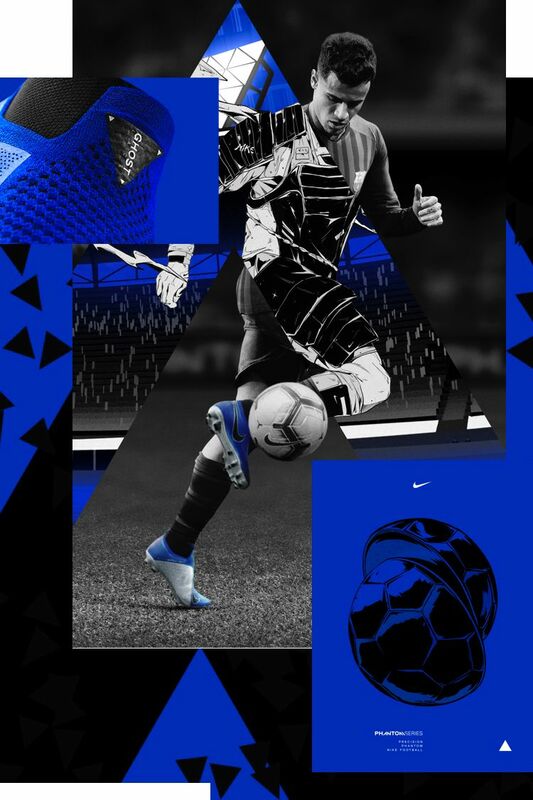 The most visible color to the human eye, it was the perfect match for the audacious play style of the Mercurial player. 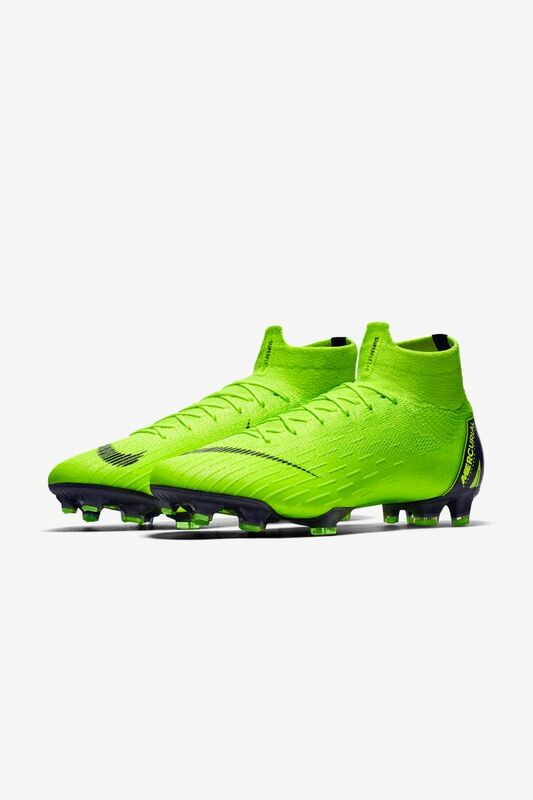 The Mercurial didn’t invent speed, but it perfected it. 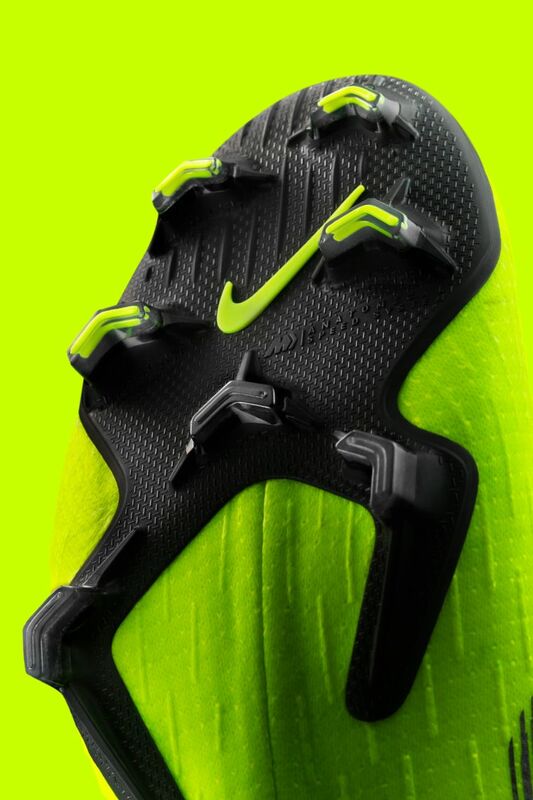 With over twenty years of innovation at its back, the boot is a definitive symbol of the fast-footed. 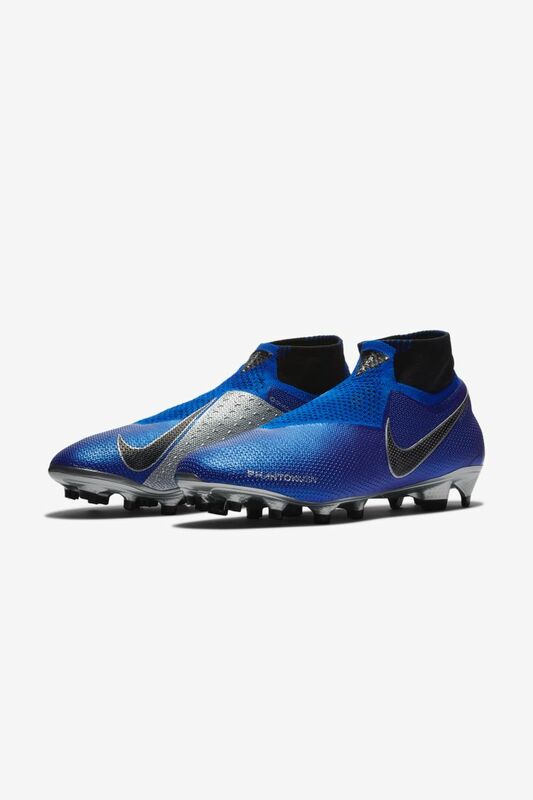 The targeted cleats strip away excess material to give you traction only where you need it, while speed ribs across the Flyknit upper help translate power to the ball through your strike. 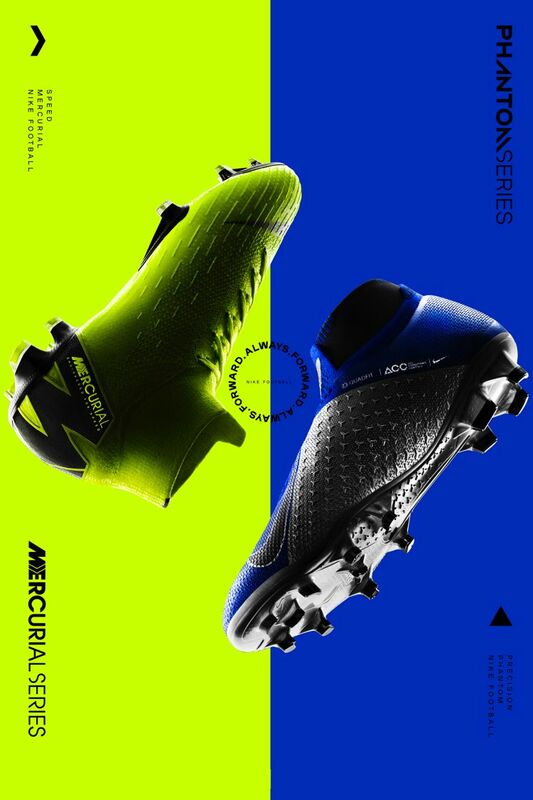 From the kits of some of the oldest clubs in the sport to classic boots like the original 1998 R9 Mercurial, blue has always been at the heart of football. 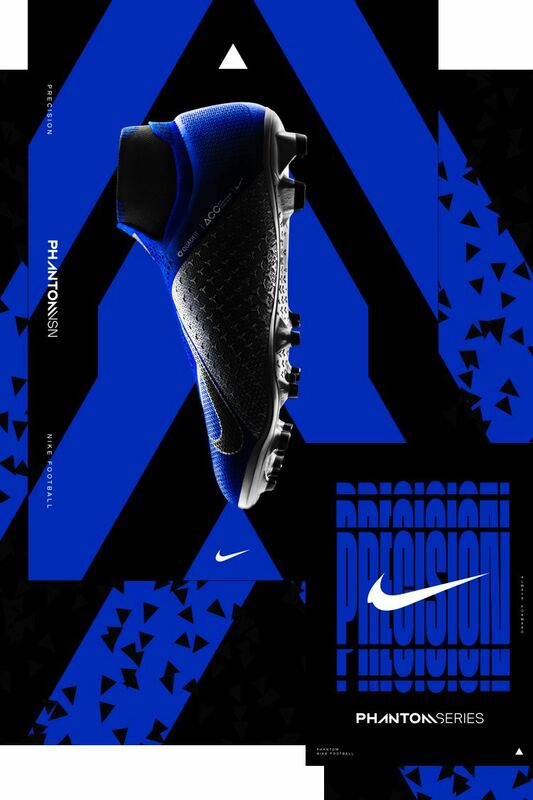 For the new PhantomVSN, Nike designers tapped into a functional quality of the color: its calming effect. 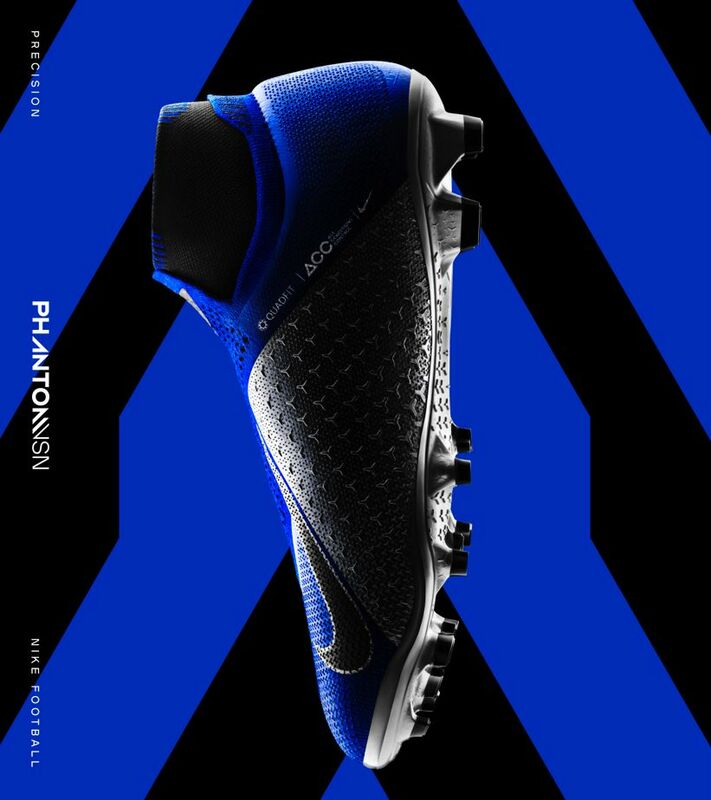 Perfect for the play style of Phantoms, the blue colorway will help keep you composed in the game’s most intense moments. 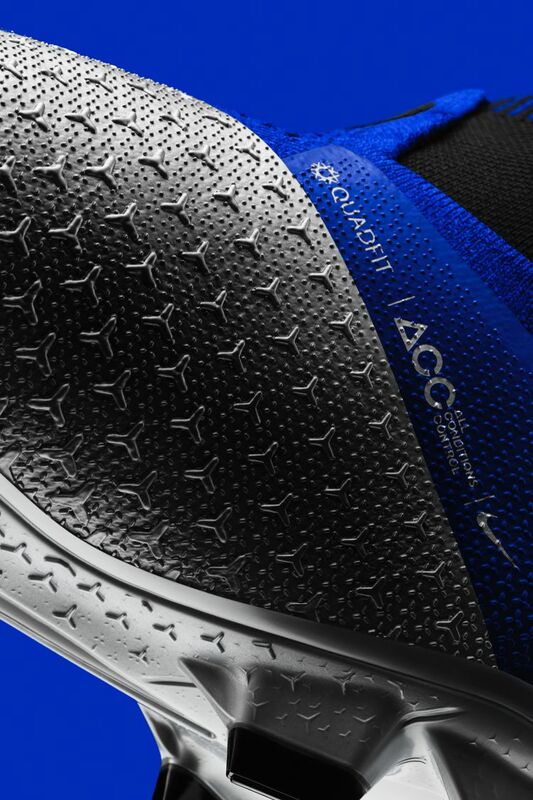 From the ground up, the PhantomVSN is pure precision. 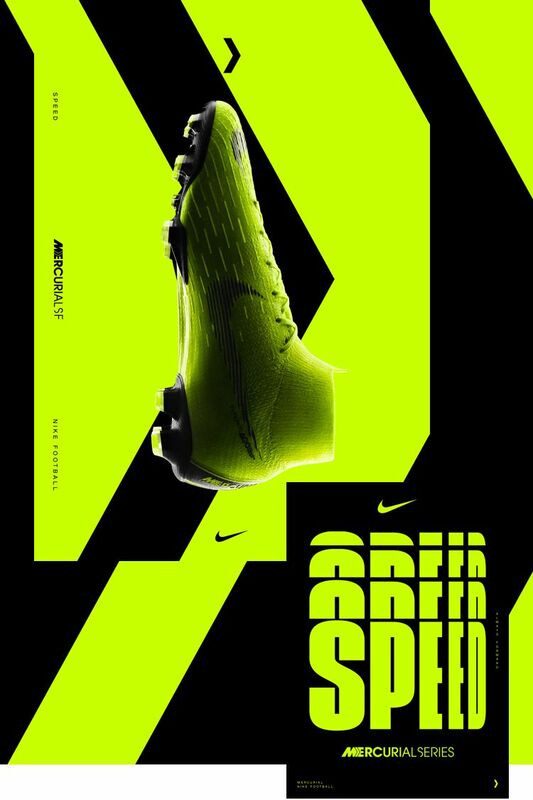 With cleats designed for sharp changes in direction, an adaptive fit through state-of-the-art Quad-Fit mesh, and micro-textured grip across the upper, everything about the boot is made to keep you in control of the ball.